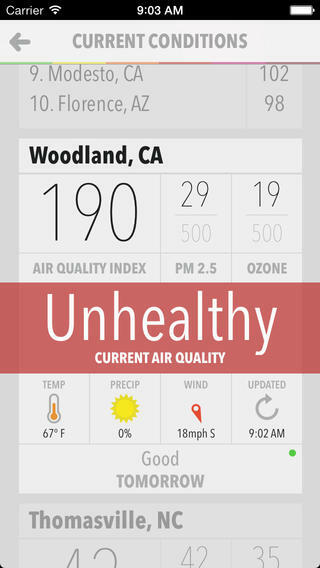 Smog Report by PixelStorm is a sleek take on air quality information that comes directly from the EPA. This app is an innovative way to quickly see what the current smog conditions are by glancing at a simple, familiar, color scale leaf to get the information you need right away. We love the look of Smog Report as well as the social media sharing aspect so you can keep your friends and family in the loop as well. 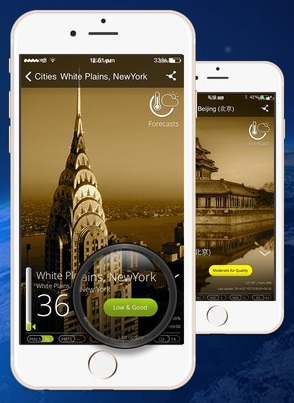 Smoggy by welikesmall is a feat ure rich iPhone application to keep track of air quality across the United States. Use your current location, add locations by zip code or search by city name. Also shown for each location is current temperature, chance of precipitation and wind direction. Smoggy won the iTunes Store New & Noteworthy Weather Apps #1 spot in 2013. A list of the cities with the worst air quality is updated every thirty minutes. The State of the Air app from the American Lung Association gives you the ability to see what your lungs are collecting anywhere in the United States. The app gives today’s color-coded EPA Air Quality Index for your location, featuring both Ozone and Particulate Pollution counts. Also get a look at tomorrow’s forecast too! The app also has a “Speak Up” section that allows users to tell lawmakers that they care about air pollution and its impact on their health with an easy to send message. 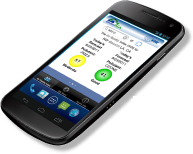 The Global Air Quality app offers real-time air quality indexes for over 3,000 cities in 54 countries and regions. Currently, English, Spanish, Chinese, and Japanese are supported. According to the current air situation, basic advice is given: whether suitable for outdoor sports, whether need to wear masks and what protective measures you should do when indoors, doing outdoor sports, or in traffic. When air pollution increases it can send you a notification reminder as well. Previous PostIs it the Flu or a Cold?